Ford remained the largest carmaker in the UK during the first quarter of 2018 while Volkswagen moved ahead of Vauxhall. The Ford Fiesta was again the top-selling car model while the VW Golf and Nissan Qashqai outsold the Focus and Corsa. Despite sales plummeting by a fifth, Ford remained by far the largest motor manufacturer in Britain during the first three months of 2018. Volkswagen outsold Vauxhall and Mercedes Benz. The Ford Fiesta remained the favorite car model of the British but the VW Golf and Nissan Qashqai reached their highest sales positions ever. New passenger vehicle registrations in the United Kingdom (UK) contracted by 12.4% to 718,489 cars during the first quarter of 2018. This was over 100,000 cars fewer than sold in Britain during the first three months of 2017. A contraction in the British new car market was largely expected with sales during the very important March month down by 16%. However, it should be noted that March 2017 was the strongest sales month ever in the UK and although March 2018 marked the twelfth consecutive month of contraction, it was still the fourth best month ever. The British new car market was clearly hindered by uncertainty over the future regulations regarding diesel cars. During the first quarter of 2018, the market share of diesel cars slipped to only 33.5% from 44% at the start of 2017. Ford remained by far the largest carmaker in the UK despite sales being down by a fifth during the first three months of 2018. Ford lost 1.35% market share in Britain and sold more than 20,000 fewer cars during the first quarter of 2018. Volkswagen gained second place from Vauxhall during the course of 2017 and maintained this position during the first quarter of 2018. VW gained 0.7% market share while Vauxhall lost another 0.5%. Mercedes Benz maintained fourth place while Audi moved up two rank positions – it was one of only two top-ten brands to have increased unit sales in the UK thus far in 2018. BMW maintained sixth place. Despite the popularity of the Qashqai, Nissan sales in the UK were down by over a third costing the top Japanese brand in Britain two rank positions. Toyota maintained eighth place. Kia moved up one rank position while Hyundai entered the top ten list from 12th and the best performance of any top-ten brand in the UK during the first quarter of 2018. Land Rover slipped from 9th to 12th. Seat and Honda were the only two top-20 brands with noticeable sales increases in the UK at the start of 2018 while MG returned to the top-30 with sales up by two thirds. The Ford Fiesta maintained its traditional position as Britain’s favorite car model during the first quarter of 2018. However, sales volumes were sharply down and the Fiesta was the only top-ten car model in the same rank position as last year. 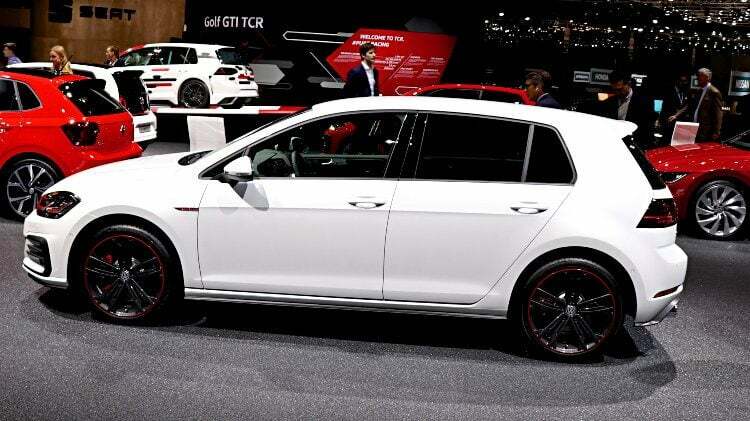 After at least four years in fourth place, the VW Golf moved into second position for the first time ever in the UK during the first quarter of a year. The Golf was the only top-five car with higher volume sales. Despite weaker sales, the Nissan Qashqai moved up to third after three years at fifth. The Ford Focus slipped from second to fourth with much weakee sales – a replacement for the Focus is due later this year. The Vauxhall Corsa slipped from third to fifth. A replacement for the Corsa based on the Peugeot 208 platform is expected by 2019. The Ford Kuga and Mercedes-Benz A Class are new entrants on the list while the Mini improved one place from a year ago despite weaker sales. The Vauxhall Mokka X entered the top-ten list – the Mokka was also ninth two years ago. The Mercedes-Benz C Class slipped from seventh to tenth – sales were down by a third. The Vauxhall Astra, VW Polo and Nissan Juke slipped out of the top ten in Britain.